For your employees with comprehensive identity protection. Your people are at the center of your business’ ability to grow and thrive. With identity theft reaching a record high last year impacting 16.7 million victims, offering identity protection services to your employees is more important than ever. Elevate your benefits package with comprehensive identity protection. Offering these services can help protect your employees and your business, while attracting better talent and separating your company from the competition. True ID Pro offers a robust set of identity protection services to help safeguard your employees, alerting them to suspicious activity related to their personal or credit information. Additionally, when considering employee practices – like password reuse – that can put your data security at risk, providing identity protection for your employees helps mitigate the risk of data breach for your business. Over two-thirds (68 percent) of human resource professions consider identity protection an increasingly important employee benefit to help attract and retain talent. However, only half currently offer identity protection to their employees. Separate yourself from the competition with a valuable benefit that’s in high demand. Identity theft is a costly and difficult crime to resolve, and can be a major distraction for employees in the workplace. In addition to identity and credit monitoring, this valuable benefit includes full-service identity restoration in the event your employee becomes a victim of identity theft – saving them time and money with the help of a certified restoration specialist. 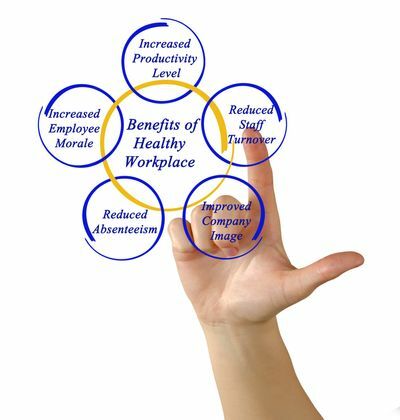 What is the best benefit for your organization? According to BenefitsPro, the number one voluntary benefit leading into 2018 is identity protection, and in a separate article, they listed identity protection as one of the “hottest employee benefits” that can help your organization attract, retain, and engage top talent at your company. They aren’t alone in their finding either. Bloomberg recently reported that identity protection could provide employers and employees with the greatest benefit of all — peace of mind. The same is also true for Forbes, who ranked identity protection as one of the top unconventional job benefits to attract and retain superior talent.